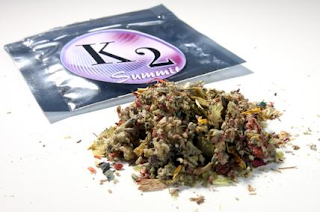 Fentanyl and a synthetic cannabinoid, commonly known as "K2" — was found in a sample of the drug that health officials suspect caused another overdose spike in the city. Health officials said the combination turned up at the beginning of a surge that sickened at least 110 people and killed 7. Victims did not know what combination of drugs they were taking. Many displayed symptoms not typical of an opioid overdose: hallucinations, repeated vomiting, and severe agitation. 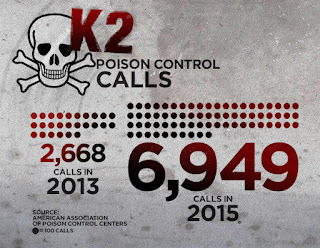 Many victims experienced the same in a July overdose outbreak, where overdoses spiked to 165 over a single weekend. 10 people died. 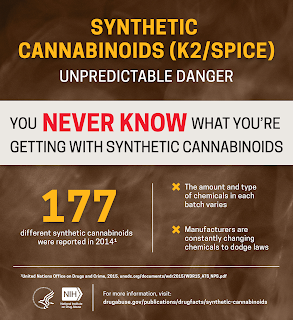 Synthetic marijuana is a mixture of industrial chemicals used to mimic the effects of THC. It is cheap and easy to make. 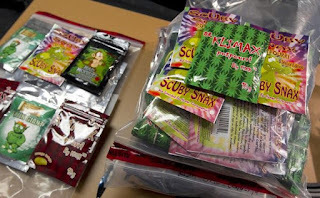 The chemicals are sprayed on bits of dried plant material, packaged in colorful wrappers and sold.